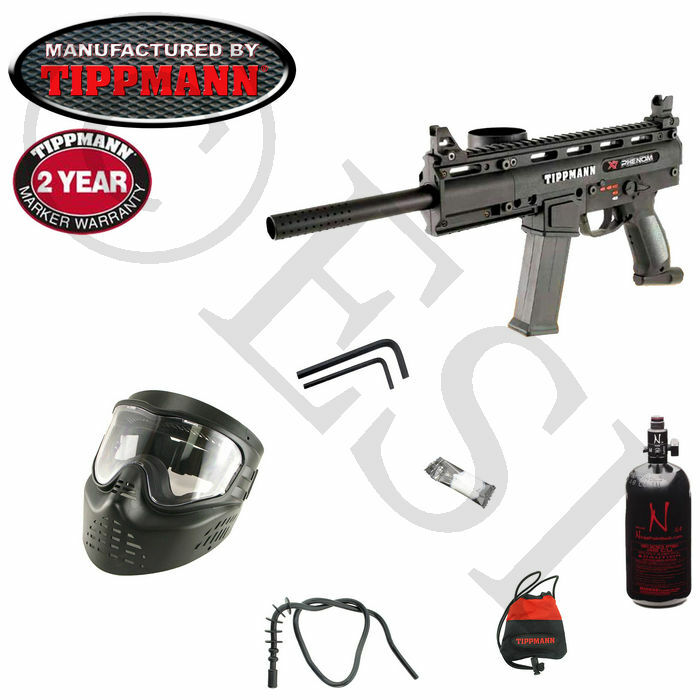 Tippmann X7 Phenom with E-Grip Full Auto: The Tippmann X7 Phenom is the top of the line scenario paintball gun. The X7 includes the full cyclone feed for rapid firing. This gun is very modifiable with many aftermarket options. 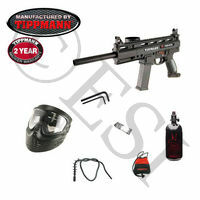 Includes a two year warranty from Tippmann. This is the full auto electronic version of the X7. Many fire rate options can be set with the internal electronics. GenX XVSN Goggle: A Standard protection goggle system, made in the USA. The X-VSN is our least expensive goggle system. These goggles exceed all ASTM safety standards, protecting the eyes, ears, and face. The lens is a single pane clear lens. The goggles include a detachable visor. 48ci 3000psi Air Tank (Ninja): High quality compressed air tank for your paintball gun.